I’ve been reading a lot more lately, now that my day job requires less actual writing and editing, so I thought I’d share a few thoughts/reviews on what’s been on my reading list. 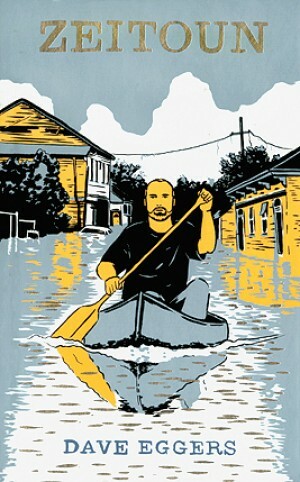 Zeitoun, The Shipping News, and Losing Our Cool. I’ve been reading a lot more lately, now that my day job requires less actual writing and editing, so I thought I’d share a few thoughts/reviews on what’s been on my reading list: Zeitoun, The Shipping News, and Losing Our Cool. It struck me, when I finished the book, that this is also what good, long-form journalism strives to do. Writing is also “a small, silent craft,” and without getting too maudlin about it, good reporters can allow “the quietest cries” — the stories of those without much voice of their own — to be heard. I don’t know much about Eggers, but having also read What Is the What and knowing a little about 826 Valencia, it seems to me that this interpretation isn’t reading into the work too much, either. Now this — this, was a book. I have always considered myself an avid reader, but since leaving college, I have shifted most of my reading attention to nonfiction, magazine journalism, and whatever the book club was reading this month. Sure, I’ve read plenty of other things, but nothing I fell in love with — nothing that made me think: “This is what good writing looks like.” Until I read this. But what impressed me about the book was Proulx’s writing. Her mastery of subtlety was impressive: weaving a story of complex character change and transformation into a sometimes bizarre landscape full of legend and twisted history, without creating something cartoonish or twee; the realism of the interactions between children and adults (and particularly adults’ interactions in front of children were finely turned); the ability to convey internal, deeply personal transformation in many characters without writing much about their thoughts (the old “show, don’t tell” advice to writers was well heeded here); and the richness of the landscape she was able to craft with just a few landmarks — I could probably draw you a map of the town, as I read it, from memory. Truly impressive. 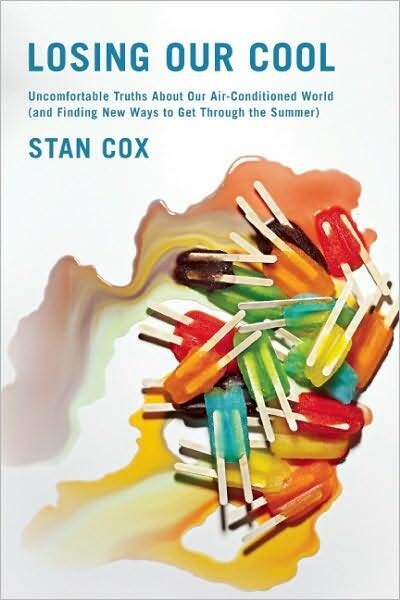 That’s precisely the attitude that Cox tackles in the book, plowing through pages and pages and pages of data to look at whether we really are better off with air conditioning, in what contexts, and what some alternatives to refrigerated buildings and automobiles might be. The case he presents against air conditioning builds aggressively, drawing evidence from all corners: urban planning, sociology, biology, health sciences, worker comfort and productivity, and more. He argues that it makes us less comfortable (especially in extreme climates, where it create high levels of contrast between air-conditioned spaces and non-air conditioned spaces), less healthy (he traces many sick building syndrome symptoms to cooling systems), and more isolated (pointing to air conditioning as a factor in the shift of home activity from outdoor spaces to indoor ones, although he acknowledges that AC was more of a catalyst than an agent). Like I said, no punches pulled. While I’m inclined to say “hear, hear!” about the conclusions that followed, the book was a stark reminder of why solutions that meet this criteria are so hard to build support for. The book, like the conclusions, depends on complex, data-heavy analysis; builds from a conviction that there is a long-term problem that needs to be solved immediately; a willingness to question the status quo and to give up on a technology that we’ve come to love; and — frankly — it’s kind of boring. This is not a book for your average reader, but here’s to hoping that it inspires others to write about, promote, and/or engage with these issues in a way that is more accessible to the rest of the world. So far, it’s got reporters on the case. Here are some press coverage/reviews worth checking out: Grist, Salon, and NPR. Don’t want to read review, but think I’m reading interesting things? Check out my Goodreads profile.